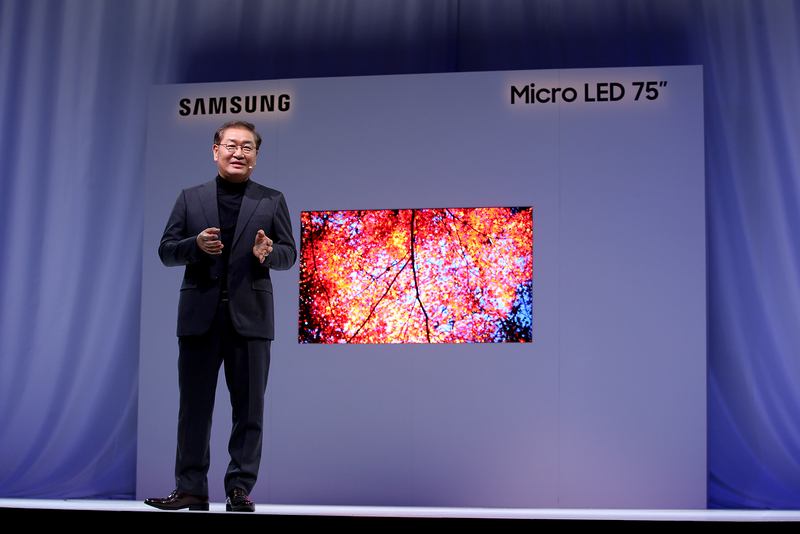 Samsung unveiled the latest modular Micro LED display at First Look CES event in Las Vegas. The Korean electric giant once again caught the eyes of all with its innovative display technology. At the First Look event, a new 75-inch Micro LED display and a 219-inch “The Wall” display are the featured. According to Samsung, the 75-inch Micro LED display is able to perform 4K resolution with the company’s technical advancements in the ultra-fine pitch semiconductor packaging process that narrow the gap between the microscopic LED chips. According the industry source of LEDinside, the chips used in the 75-inch Micro LED display were supplied by Taiwan-based PlayNitride. The Micro LED chips were transferred to glass backplanes through Samsung’s mass transfer technology to achieve the Micro LED TV. Compared to the 146-inch “The Wall” which Samsung exhibited at CES 2018, the chip size of the new 75-inch Micro LED display is 1/15 smaller and its PPI (pixels per inch) is four times more. The modular design of Samsung’s Micro LED display offers flexibility in screen size, allowing users to customize the size of displays. 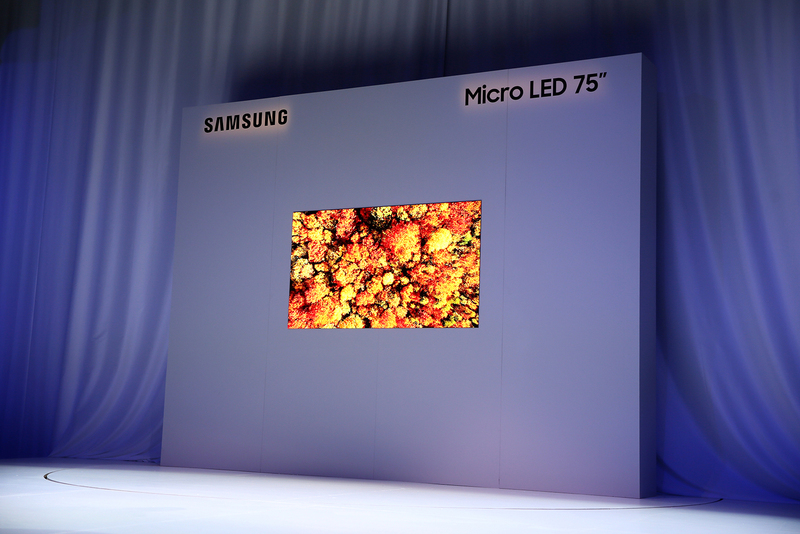 Moreover, Samsung’s Micro LED technology optimizes the resolution when more modules are added to a display. Samsung addressed that Micro LED displays are bezel-free and support unconventional aspect ratios such as 32:9, or even 1:1 while maintain high picture quality. The modular splicing technology of Micro LED display enables unlimited applications of the next-generation display.